Special thanks to PhytoGen, the exclusive sponsor of AgFax Southwest Cotton. Subscribe to our FREE e-news reports. Texas cotton damage reports are filtering in slowly as we go into the second week since Hurricane Harvey moved into the coastal regions as a Category 4. Many cotton fields are still underwater making it difficult to calculate acre losses and the number of modules destroyed, or at least heavily damaged, where harvest was in process or had been completed. Complicating the situation is the fact that some Extension personnel, who were evacuated, have not been able to get back to their regional locations. Conservative estimates are that Harvey wiped out unharvested fields representing a potential loss of 400,000-plus cotton bales. Nearly all of the 200,000 acres lost in the Upper Coast were loaded with bolls. Quality loss will be a huge issue for growers who were pounded by rain but are still able to harvest the crop. Harvey hammered crops in the southern Blacklands and left Brazos Bottom fields under 2 feet of water. Several cotton gins were damaged and others could be without electricity for weeks. Elsewhere, aphids are a problem in parts of the South Plains, and bollworms are still on the radar. Panhandle fields look good but need more heat. Bollworms are active in southwest Kansas fields and concern over Bt resistance is increasing. Arizona could see more heat stress damage than anticipated. John Robinson, Texas A&M AgriLife Extension Economist/Cotton Marketing Specialist, College Station: “We’ve projected that about 400,000 bales worth of cotton was still on the stalk when Hurricane Harvey and the huge amount of rainfall hit the Coastal Bend, the Upper Gulf Coast and other southeast Texas production areas. That is a conservative estimate and likely the minimum amount of damage. The cotton was either blown away or heavily degraded. Even if farmers are forced to harvest the damaged fields by the Risk Management Agency, they will probably receive a heavily discounted price. “Overall, those 400,000 bales are a small portion of the projected harvest of 8.8 million bales in Texas. That’s about 5% of the projected production. There are also hundreds of conventional modules that have been destroyed or damaged on farms or at gin yards. "For farmers and gin operators who suffered losses, this is a tremendous hardship. Insurance will help some, but won’t approach what the return would have been for bumper crops. “For cotton markets, the timing of the damaged cotton creates a gap in the timely availability of quality cotton. Farmers there had a high yielding, strong quality crop that was ready for processing. Cotton that is too wet will see poor color grades and maybe bark, trash, etc. As the tropical storm moves up through Louisiana and into Mississippi and Arkansas, there could also be some quality issues for that cotton. “The impact on the futures market out of New York will likely be minimal. December futures were up a little this morning (8/30) at 70.30 to 70.40 cents. There is not any limit-up reaction. Jeff Nunley, Executive Director, South Texas Cotton and Grain Association, Victoria: “Our association represents 25 to 30 gins and many farmers. This year they were expected to grow about 225,000 acres of cotton north and east of Victoria toward Brazoria and Fort Bend counties and about 465,000 acres south and west toward Kingsville and Uvalde. I fear the worst for those farmers northward in the Upper Coast. “Only about 35% of that cotton had been harvested before Harvey struck. Of the remaining acres that were not yet harvested and were probably lost in the storm, those losses are likely in the $100 to $150 million range or more. That probably doesn’t include the value of the seed. “Many of those harvested acres had been custom picked. So those farmers are also out those expenses. For cotton that had been picked and in a module, there are concerns about how the quality will be impacted and if they can still be ginned. For acres that had not been harvested, I’m hoping that USDA and RMA can provide some relief for those farmers. If some of that cotton is harvested, much of it will have already sprouted, and ginning cost will come out of their pocket. Josh McGinty, Texas A&M AgriLife Extension Agronomist, Corpus Christi: “We toured damage north of Corpus Christi on Tuesday (8/29). We won’t know all of the damage for a week or more, but it’s a bad thing to see. A lot of conventional modules were heavily damaged by 100 mph-plus winds and lots of rain. Some modules are completely obliterated. Modules scattered by wind and rain will see the quality go way downhill. It’s nearly a total loss in some cases. “In Corpus we were lucky. We only had 4 to 5 inches of rain. We were 100% picked before it hit and most of that cotton goes into round modules. As long as the round modules are not in standing water, they should be all right. I saw very few of them with physical damage. Acreage south of Corpus seems fine. But as soon as you get north of San Patricio and Nueces counties, it’s a different story. “In the Bayside area cotton is devastated. Modules we saw on Thursday (8/24) were nearly gone on Tuesday (8/29). The Bayside Gin will likely be down several weeks or even months. We saw probably 200 conventional modules on gin yards that were destroyed or heavily damaged. “Most gins seem to have just cosmetic damage except Bayside and one or two more. The bigger struggle will be getting electricity restored. Officials are talking about 4 weeks or more to get power restored. We saw miles and miles of downed power and telephone poles. “There are big efforts to get livestock and show animals out of flooded areas. We’re also hearing it’s a struggle to get proper water to animals in some areas. We’re getting requests for water safeness test kits. Gaylon Morgan, Texas A&M AgriLife State Cotton Specialist, College Station: “The Brazos Bottom regions received 16-plus inches of rain from Harvey by Monday (8/28). Fields were completely inundated with water, some with a few inches and others completely submerged. Little cotton had been defoliated in the Brazos Bottom, but cotton was extremely strung out and cotton lint and seed quality will definitely be decreased. It’s too early to know the complete extent of the damage. “Some of the cotton in the southern Blacklands was already harvested and some defoliated. Damage from Harvey will vary within the region as well. The central Blacklands received some rain, but there is not much damage in that region. Mark Nemec, MJN Consulting, Waco, Texas: “I look at about 3,000 acres of cotton in the Brazos Bottom. I toured all of them that I could get to yesterday (8/28). They were all under water – 20 to 30 inches of rain. There were about 2,000 acres I couldn’t get to because of water on the roadway. “Those guys had just started defoliating and picking last week. It’s really bad for them. Today I’m about 40 miles north in Marlin and they had about 4 inches of rain. In Waco we only got an inch. The northern Blacklands got spared pretty good, but everything south of Bryan and College Station is in pretty bad shape. “Cotton is damp in the Waco area but it isn’t soaked. Some fields are dry enough to get back in to defoliate this afternoon. All of my growers there waited to defoliate to see what the weather would do. They will start stripping in about 12 to 14 days. DeWayne Dopslauf, Crop Production Services, Wharton, Texas: “Due to the flooding, I haven’t been able to observe any damaged cotton. The farmers I work with got a lot of it harvested and it’s all setting in modules, both conventional and round. Seth Byrd, Texas A&M AgriLife Extension Cotton Specialist, Lubbock: “All of us in the Lubbock and South Plains area extend our condolences to the many folks who suffered losses to their crops and other property from the hurricane. I am from North Carolina and farmers there saw similar situations when a hurricane struck at harvest time. “In our part of the country, cotton looks pretty good. I’m on my way to San Angelo today (8/29) and I’ve seen a lot of dryland and irrigated in Lynn and Dawson counties and some in Howard county. Fields are coming along well. I was in Spearman yesterday and saw some more good-looking fields in the northern Panhandle. But it is still behind, which has been the case for many of us all year. “There is some talk about folks worrying about dryland not maturing. There may be more immature bolls at the end of the year. We may need to really put a focus on a good harvest aid program to make sure we don’t have a lot of green. “We’re hearing worries about the crop being behind and excessive growth from the recent rains. Both are highly related. At the end of the day, there is nothing we can spray on cotton to stop growth. PGRs regulate growth, they don’t eliminate growth. We will have to watch and be careful not throw a lot of money at a problem we can’t solve. Randy Boman, Oklahoma State University Cotton Research Director, Cotton Extension Program Leader, Altus: “Southwestern Oklahoma cotton continues to receive occasional rain and is still looking good. A lot of guys are trying to put the breaks on growth by applying PGRs, especially some dryland that we got caught flat-footed on when the heavier rain came. In the past, we typically didn’t put PGRs on dryland, but we’ve had to in the last few years. New varieties have a lot more growth potential. They want to take it off if we get a rainy spell. “Insect-wise, we have some stinkbugs here and there. Some fields have been sprayed and growers and consultants are watching closely. “We need that good finish like last year. We had a cool, wet August in 2016, but had good growing weather in September. Late last week we were still about 17% behind average in heat units for August. But if we get an open fall, we’ll be needing some custom harvesters here to handle the crop. Randy Norton, University of Arizona Extension Cotton Specialist, Safford: “We’re seeing a few more late season sprays for lygus and also for aphids on edges of fields. It’s not widespread but we’re having to monitor for insects. “The worries we had with heat stress earlier in the summer are playing out. We’re seeing some results of heat stress in some varieties. I saw one grower who had some misshapen bolls caused by poor pollination during heat stress. The bolls did not fill completely. It looks like this could be an issue in a fair amount of the state. Hopefully we’ll get a good evaluation and have that information for growers. Kerry Siders, Texas A&M AgriLife IPM Agent Hockley, Cochran & Lamb Counties: “After a period of frequent showers, we’ve made some progress with open weather in the past few days. Those cloudy days slowed things down. We’re already losing heat units and don’t need to lose sunshine. With nighttime temperatures below 60 and daytime highs below 90, we need to pick up the pace a little more. “Since we still have some late cotton, there is a little concern about getting enough heat units. That cotton will also remain vulnerable to insect issues a little longer. Normally, we would consider September 5th as the time cotton would have had enough heats units to consider it safe from worms, lygus and other insects. This year, we’ll push closer to September 10th or 15th. “We’ll scout closely for insects in the next couple of weeks because we still have bollworms in conventional cotton and can find them in some Bt varieties. Also, cotton aphids are a problem for some. Their populations are a real mix. Some fields have been imbedded in aphid clusters for a while. They exceed threshold of 50 aphids per leaf and that hasn’t really changed. There are beneficials out there but they’re not really doing their job. We’ve been calling for sprays. “One of biggest concerns is continued terminal growth. We’d like to have the plant blooming out the top by now. But some plants are chasing 3 to 4 NAWF due to the rain we’ve had. That causes producers to want to control growth with PGRs. That’s a tough proposition to control terminal growth this time of the year. I would question how cost effective that is. The only thing that holds down that growth is a good boll load. I’d rather see producers save that money for a good harvest aid program. Joel Webb, Texas A&M AgriLife Extension IPM Agent, Runnels, Tom Green & Concho Counties: “Things are pretty calm in the Concho Valley area. Nothing big is happening. We’ve had a little rain, just scattered showers. Pests are minimal. Disease pressure and weeds are under control for the most part. Rex Friesen, Southern Kansas Cotton Growers Co-op, Winfield: "We’re hearing of a surprising number of nickel-size bolls falling off. I think it’s due primarily to stinkbugs. You can see feeding damage on some bolls. Also, today I saw more bollworms in cotton fields than I have in years. I was hoping we would dodge that bullet, but I’m afraid that resistance to Bt is moving forward in a hurry. That’s a horrible development if it plays out like it could, as well as if the reports of pyrethroids not killing them are true. “Meanwhile, our crop is maturing. We still have some cotton that’s not quite blooming out the top. I like to see the flowers at the very top by the end of August. There are a few fields that are behind and will need more heat, time and a late killing freeze on those plants. AgFax Southwest Cotton is published and distributed by AgFax Media, LLC. 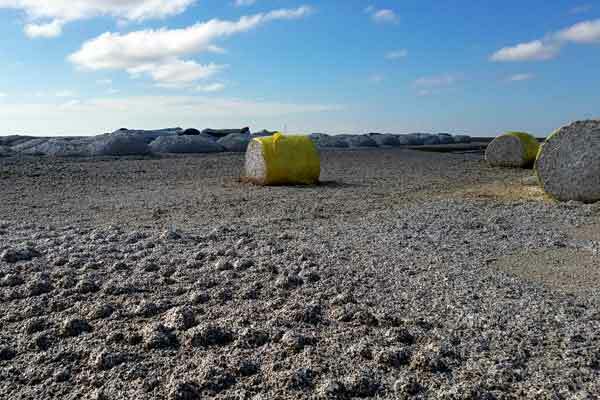 AgFax Media crop newsletters include: AgFax Midsouth Cotton; AgFax Southeast Cotton; AgFax Southwest Cotton; AgFax Peanuts; AgFax Rice; AgFax Southern Grain; AgFax West, AgFax Almonds, AgFax Updates. Owen Taylor, Editorial Director, and Debra L. Ferguson, Agfax Managing Editor, AgFax Media LLC, 142 Westlake Drive, Brandon, MS 39047, dferguson@agfax.com, Office: 601-992-9488. ©2017AgFax Media, LLC.